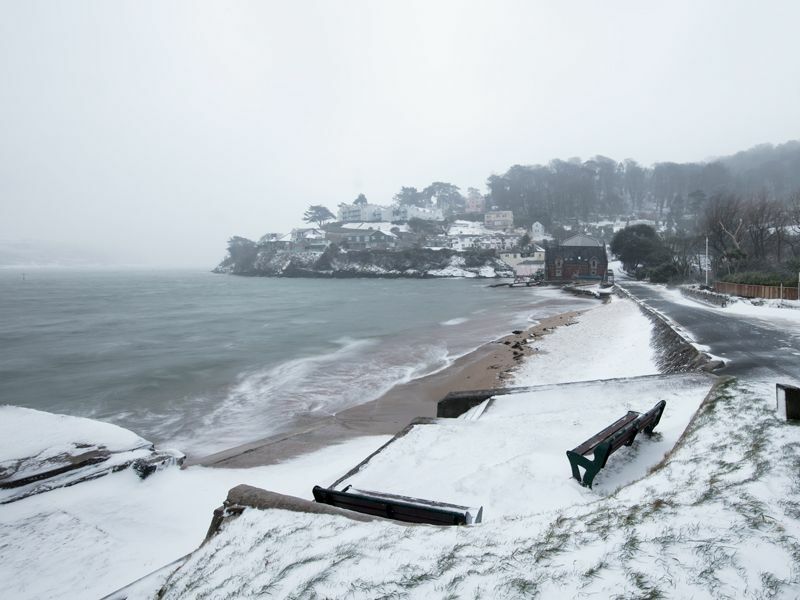 Sometimes It Snows - In Salcombe. Wow! 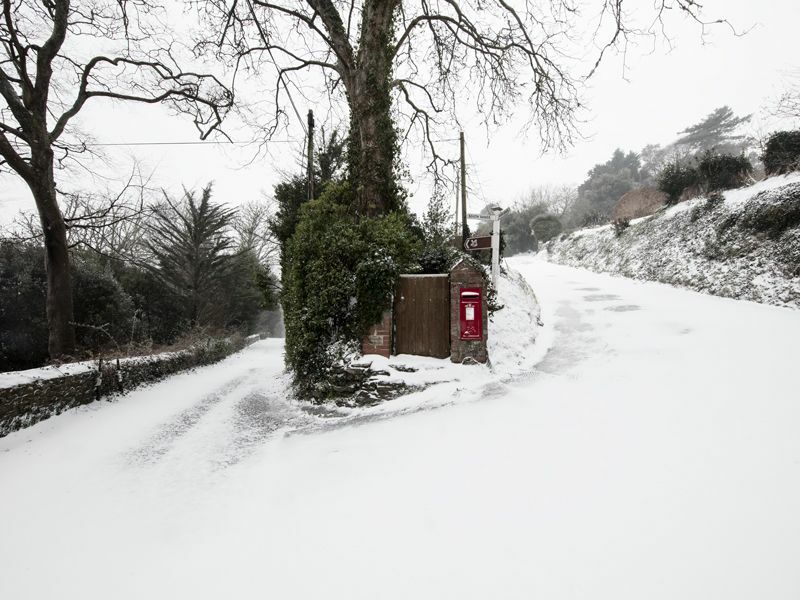 We finally had snow in Salcombe thank’s to The Beast From The East and Storm Emma. 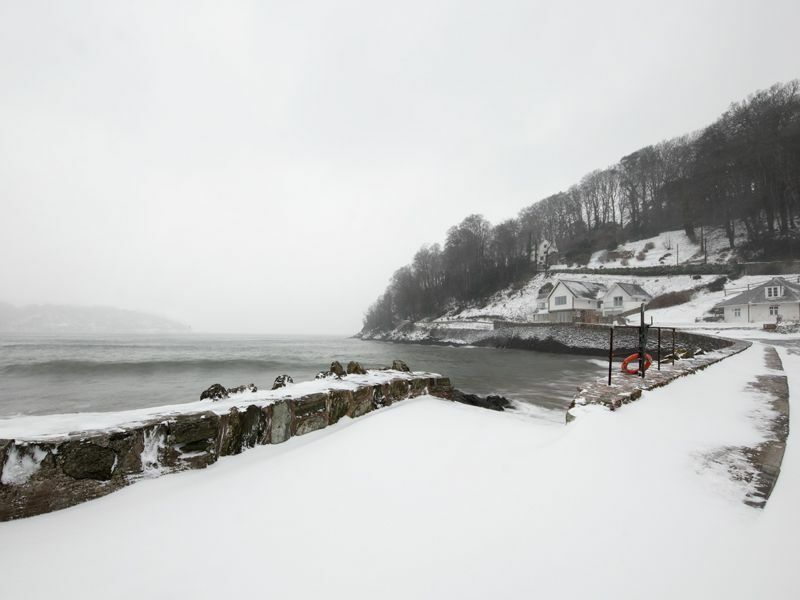 Apparently Salcombe hasn’t seen a covering of snow like that since 78/79. I actually remember that year very well. My dad woke me up at about 6.30 to show me the snow and sent me the shop for a loaf while he got ready for work. I remember he gave me a twenty pound note because he needed change for the Mersey Tunnel. So off I went, about nine years old, bouncing in the snow, throwing snowballs at the trees. It was so deep at one point my shoe got stuck in the snow. I hurriedly ran in the shop, grabbed a loaf of bread and put it on the counter - only to my horror I realised I had lost my dad’s twenty pound somewhere from my house to the shop. I frantically retraced my footsteps looking for the money, but to no avail. I had lost my dad’s money. After about thirty minutes looking for it I finally plucked up the courage to go and tell my dad. I sheepishly went in the front door - only to see that twenty pound sitting on the hall carpet. I ran back to the shop with a very tight grip on the money and got that loaf of bread, and when I got back my dad said "where have you been? I was about to send the search party after you." My reply, while sporting a cheeky grin across my face was, "Oh! Just playing in the snow." Fast forward to 2018 and I got to go and play in the snow again, this time in beautiful Salcombe. The place has been my home now for almost twelve years and I have never seen snow like it. 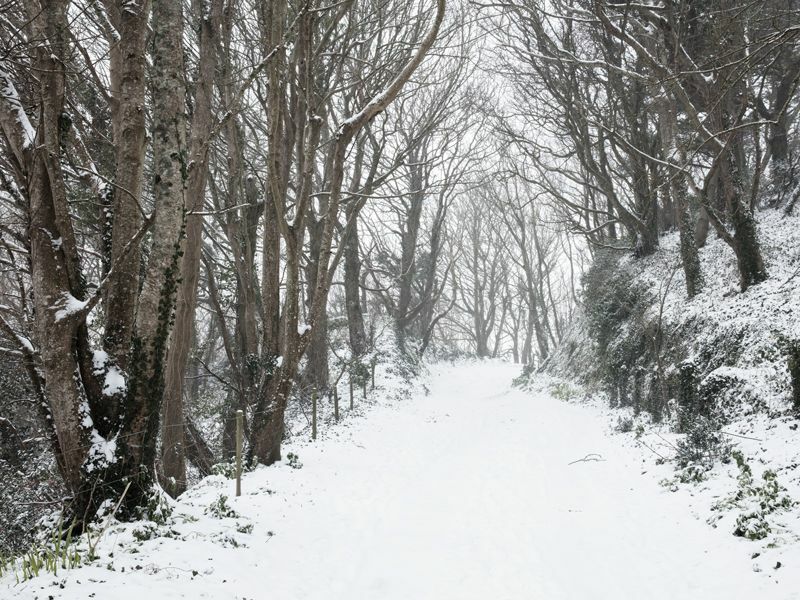 The woods at Beadon looked like a Christmas card; North Sands didn’t even have footprints in the snow, and as I got to South Sands the beast from the east seemed to get a little angry with me taking photos and threw everything at me. At one point it felt like I was on an expedition in the arctic, scarf pulled up over my nose, eye’s half shut hoping I was going in the right direction. It was amazing, invigorating and on a few spots along the way a little bit sore, as I hit the floor quite a few times landing on my awesome Think Tank Camera Bag which saved me and my camera from a serious bump. With all this snow came a lot of disruption and a little bit of danger. People had to be pushed up the hill near Salcombe cross, a family passed me on foot, apparently after crashing their car into a tree at the bottom of the hill at North Sands, and the road to Kingsbridge from Salcombe only had one lane as the snow had drifted up the hedges and onto the other lane. All in all though I had a whirl of a time playing in the snow, it brought back some great memories of snow day’s past. I hope it’s not another thirty years until I get to do that again because the snow doesn’t half make everything look pretty. I hope you enjoyed my blog. Don't forget to check out my latest work for some of my black and white series in the snow.